An internet based Igbo language and Igbo culture feature film exhibition service. 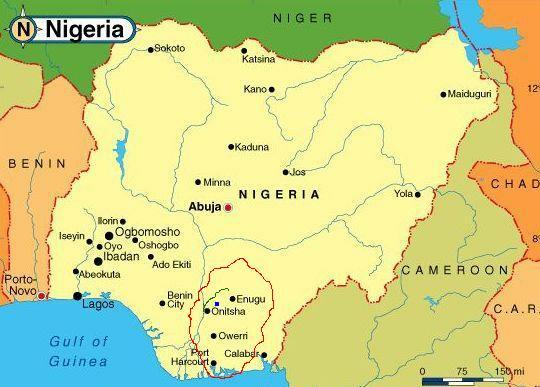 The movies exhibited on this website are based on the culture and lifestyle of the people of the Igbo ethnic nation of Nigeria.The Igbo ethnic nation with all its various dialects spans the entire area indicated in the maps below. The original Igbo names of some of the towns in the region are indicated : Igwe Ocha was renamed to Porthacourt in 1913 by Lord Lugard the then British colonial Governor General of Nigeria. Opobo was also known as Igwe Nga. The coastal waters "Bight of Biafra" indicated in the map was renamed "Bight of Benin" at the end of the Nigerian/Biafran civil war in 1970. Though the Igbos are a republican culture, the Igbo kingdom and king of Nri is the oldest throne in Nigeria, going back to the 9th Century AD. 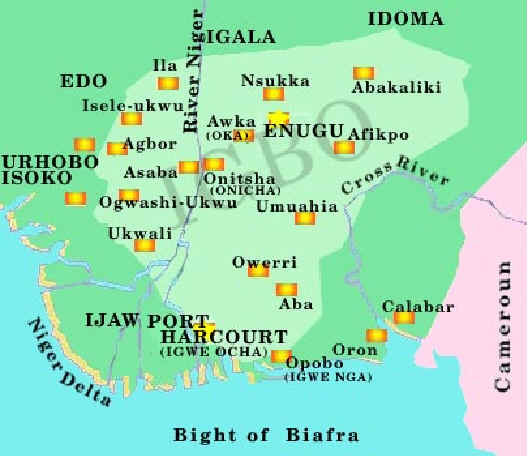 Today, the Igbo region is spread across 10 states of Nigeria : Abia, Anambra, Cross River, Delta, Ebonyi, Enugu,Imo, Rivers, Edo, and a little in Benue State (Igala Igbos). There are also the Ijebu Igbos of Yoruba land to the west of Igbo land, and the Mina Igbo to the north of Igbo land (present day Niger State), who have a distant common ancestry with the Igbos. The culture is rich and dynamic as is evident from the movies. The people are exciting, innovative and very productive. Enjoy! Address : visits strictly by appointment only. No public access, and no customer service facility here.